I'm not confident that they'll secure a local number for me. If that's the case, I'll change my plan with Frontier to a basic, basic plan and use it in conjunction with ooma for outgoing long distance. If you leave your land line connected, do I need to use a separate, corded telephone plugged into a jack, or will local calls somehow come through the ooma Hub? What features do I need to tell Frontier that I need on the land line? If, at some point in the future, a local ooma number does become available, can I dump the land line then, and switch completely to ooma?? Wow. ooma is making it really difficult for me to not send the system back to Amazon. The Customer Service folks are NOT knowledgeable, and seem to be following a script. They can't get me a local number. 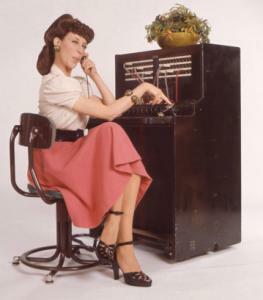 I need to maintain my landline for the interim, until a local number becomes available. What features do I need on my landline? I'm going to switch to basic, no long distance plan, but what features do I need? Call Forward on Busy? Call Forwarding???? HELP! If anyone can shed some light on this, I'd deeply appreciate it. The ooma CS staff just start spouting generalizations and are not helpful. If you really need to keep the landline it's generally advised to keep two phone lines (i.e. separate), one for ooma and one through your local company. There are almost no benefits to the alternative apart from being able to use one physical phone. The only reason you need a local line I imagine is for the incoming calls. You can have the basic landline for local incoming calls and ooma line for everything (ooma will work over the internet and will not be connected to the landline). This makes things much simpler. That said, it's your choice. Last edited by atici on Wed Sep 02, 2009 8:57 am, edited 1 time in total. To maximize your savings, we recommend that you call your phone company and cancel your long-distance service and see if there is a lower-cost local calling package. If you plan on using ooma with a landline, we require a flat-rate calling plan. Caller-ID is optional, and all other features are unnecessary. FrequentFlyer wrote: Wow. ooma is making it really difficult for me to not send the system back to Amazon. Last edited by Groundhound on Wed Sep 02, 2009 8:55 am, edited 3 times in total. Well, I started writing a response and then I saw the link that Groundhound has pointed out. It certainly is very comprehensive and explains what the "provisioning" would do if you decide to integrate your landline with Ooma. Hope this helps. Thanks. The article was helpful. It leaves me with a (I hope, final) question. I'll call my local telco and switch to a basic plan. I can get one extra feature for about $5 a month. What if I choose Call Forwarding, and forward all calls to our local/landline number to our ooma number? In that case, all calls would be routed through the ooma Hub... yes? But, let's say I do away with Caller ID on the land line -- Will the Caller ID still work on the ooma system? when you are notified that there is a number in your exchange, then you can decide whether to port your number to ooma, or integrate you number with ooma. So... the phone I plug into the wall for the landline needs an answering machine function? Keeping your landline separate from Ooma would allow you to forward your inbound calls to your Ooma number for VM and to answer/talk. You would not connect your landline to your hub at all in this case. Your landline could be connected to a stand-alone phone and you could use either the landline or Ooma for outbound local calls, but only Ooma for LD calls. The only downside to this is that outbound calls on your Ooma would show your Ooma number for outbound Caller ID, plus you would need to pay for the call forwarding on the landline. I thought this was the case. Thanks for your help!